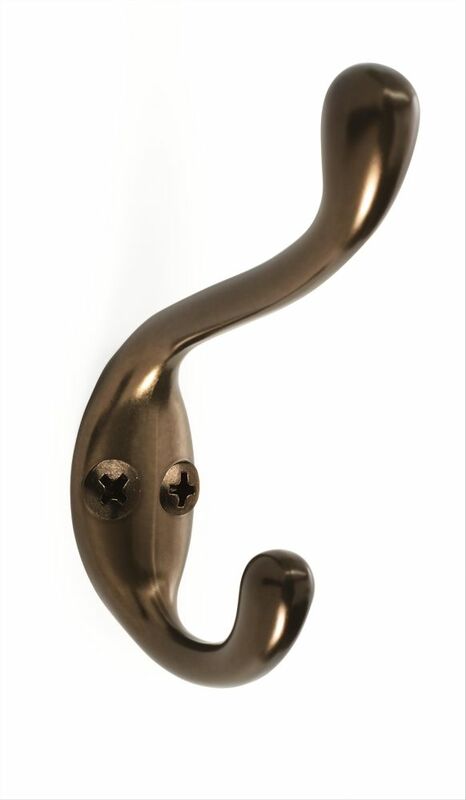 The Amerock H55445CBZ Medium Coat and Hat Hook is finished in Caramel Bronze. Single hooks are most versatile and can be mounted into wood surfaces and drywall. Amerock's Caramel Bronze finish has a rich dark brown hue with a hint of burgundy and subtle copper undertones. Medium Coat and Hat Hook - Caramel Bronze The Amerock H55445CBZ Medium Coat and Hat Hook is finished in Caramel Bronze. Single hooks are most versatile and can be mounted into wood surfaces and drywall. Amerock's Caramel Bronze finish has a rich dark brown hue with a hint of burgundy and subtle copper undertones.